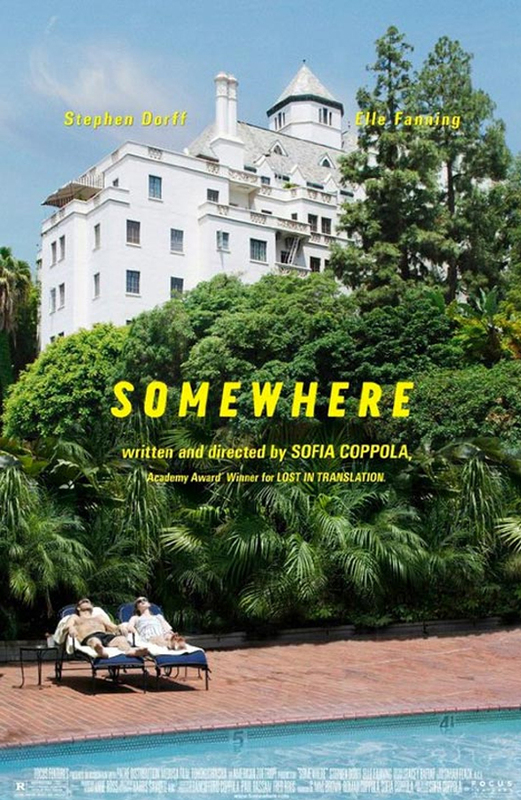 Twenty years after her Mary Corleone days, Coppola in 2010 delivered “Somewhere,” a minimalist and slow-paced film that gives an unsentimental snapshot of the life of a B-list actor. I’d never really thought of Stephen Dorff as a leading man, instead relegating him to his Deacon Frost moment in “Blade” or in many other straight-to-video type movies. But I think his real-life background places Dorff in exactly the kind of prolific-but-nowhere place that Coppola aims to access. In every description of “Somewhere” that exists on the Internet, writers describe the film as a meditation on celebrity ennui. Dorff plays the fictional Johnny Marco so perfectly that he absolutely personifies ennui– right down to his blank enjoyment of two pole-dancing twins awkwardly gyrating their same old moves while an old Foo Fighters hit blares like molasses out of a boombox. It doesn’t get any more listless than that, and Coppola serves it cold. I loved that movie! I liked Lost in Translation better but it had that same lonely, lost feeling. The twin dancers were brilliant! Lisa, the two dancer sequences reminded me a lot of “The Virgin Suicides” actually. The same kind of languid, mundane pace.